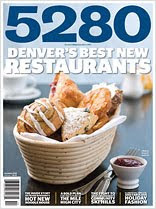 SRG CULINARY BLOG: 5280’s Best New Restaurants Issue is on Newsstands. Buy One. Start Eating.